Abbie Heppe outlines the beginning days of Respawn Entertainment. Respawn Entertainment’s Titanfall is now out and about, and going great guns both commercially and critically. Community Manager Abbie Heppe recently spoke to OXM about the various pressures of starting out, along with how comfortable the team was during development. Heppe also says that due to being independent from EA, there was a very strong drive to bring something out soon. “And then there was a lot of arguing about what the game should be and where we were going with it. But it wasn’t like in ten years maybe we’ll put together a game, it was a very driven [experience] – we need to make something as a studio, we’re independent, we’re not owned by EA, we need to step on it. But also there were a lot of expectations about where the team had come from. There was a lawsuit that happened during it, which was insane – that’s a stressful thing when you’re already stressed about living up to the expectations that are upon us. The overall structure of Respawn is also fairly simple. All team members coordinate with each other and welcome suggestions while co-founder and CEO Vince Zampella was always approachable. What about people labeling Titanfall as a “Call of Duty killer”? 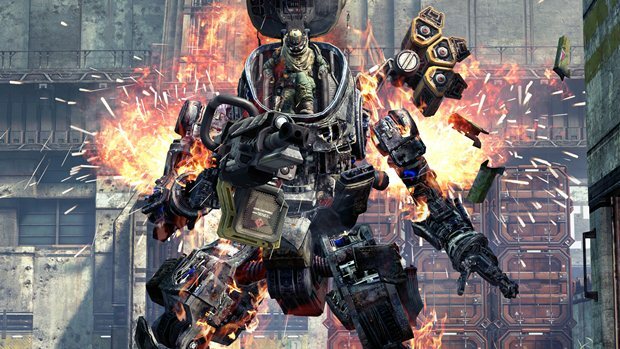 Titanfall is still to release on the Xbox 360 – it was recently delayed to April 8th in North America and April 11th in Europe.